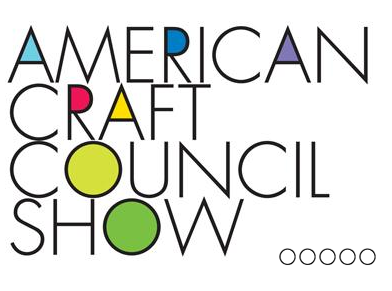 American Craft Council Show is coming to Atlanta and I have tickets to give away!!! Hi everyone! I can’t wait to share with you my amazing experience at the Design Blogger’s Conference in Los Angeles. Let’s just say, I was able to sit down and chat with Barbara Barry and that was enough for me, but there was so much more. I’ll get to that on Monday, because today I have two tickets to give away to the American Craft Council Show that is coming to Atlanta next week. I’ll admit, when I received this email, I thought they had sent it to the wrong person. I mean, we all know that crafting is not necessarily my strong suit. But, once I read about the show, I realized that I would be missing out if I didn’t attend this fabulous event. Even better, I have two tickets to the preview party and a shopping pass for Friday’s event to give away to one lucky winner! Let me tell you about the event. The American Craft Council Show is made up of more than 200 of the country’s best contemporary jewelry, clothing, furniture and home décor artists. This is the largest juried, indoor craft show in the southeast. 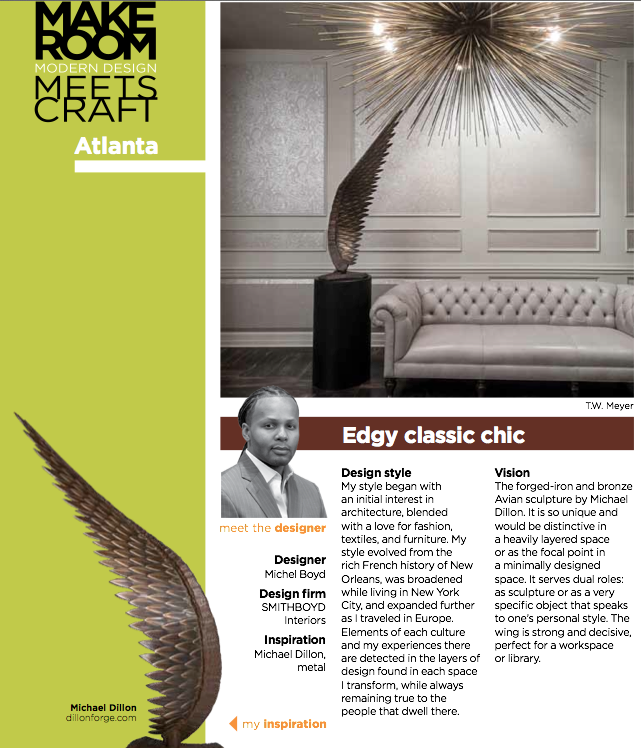 To celebrate the 2013 show season, 11 top Atlanta designers including Rick Bonner, William Peace and Michel Boyd were chosen to create 10-by-10 foot room settings-all inspired by a piece of craft made by one of the show artists. Some designers chose glass, others ceramics or fiber art. No matter the medium, I know the results will be inspiring! 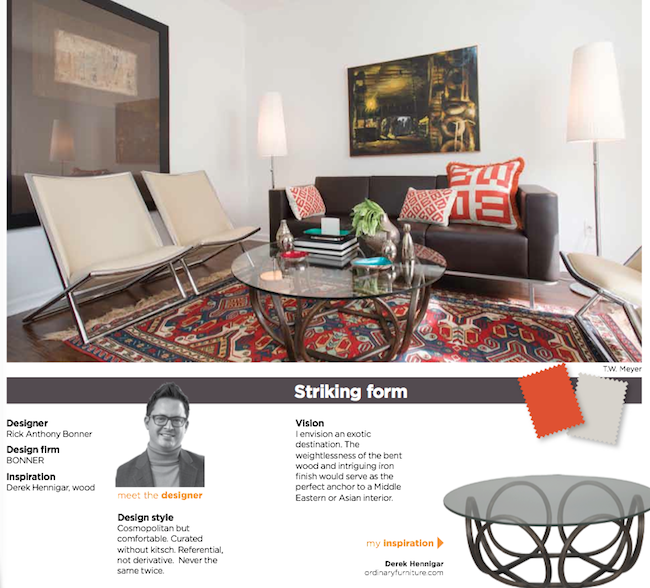 You can see Rick, William and Michel’s inspiration pieces below, as well as sneak peeks at their spaces from the show. Impressed? Me too. I’ll be sure to be there on Thursday night, but how do you win two tickets to the preview party on Thursday, 3/14 and an early bird shopping pass on Friday, 3/15? All you have to do is leave a comment here on the blog! You can enter again by heading over to my facebook page and liking my page, and you can also tweet about the event. Once you’ve facebooked and tweeted, head back over to the blog and let me know! That’s it! I’ll take entries until Tuesday at midnight and I’ll announce the winner on the blog on Wednesday. You will be able to pick up your tickets at the door on Thursday night. So, come on Atlanta friends, join me for a night of design and fun! Hi all, I wanted to let you know about a great giveaway from the ever fabulous Mitchell Gold + Bob Williams. 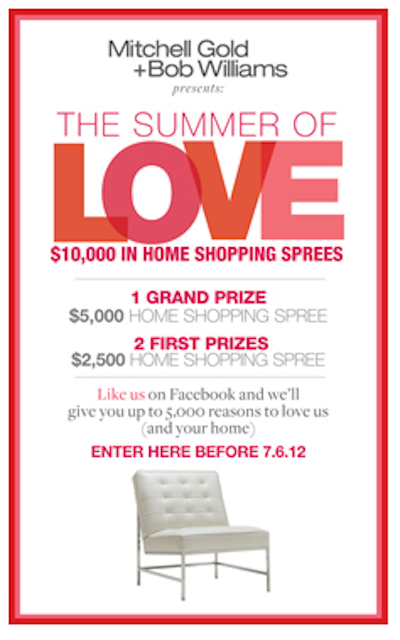 Wouldn’t you love to win a $5000 shopping spree? I know I would. All you have to do is go to Facebook and “like” MGBW and you’ll be entered to win. If you’d like to see some of the gorgeous summer things that MGBW has to offer, check out this post from my “What I found this week” series. I hope you had a great holiday weekend! See you back here on Wednesday!